Whether you’re new in your neighborhood, or you’ve been there for years, Halloween is one of happiest times of the year, and a great time to make the most of your home. Whether you’re hosting a party or not, decorations and treats are a must. If you’re busy, like a lot of our clients, you might thing it takes a lot of work to get your home in its best, spookiest outfit; but it doesn’t need to. 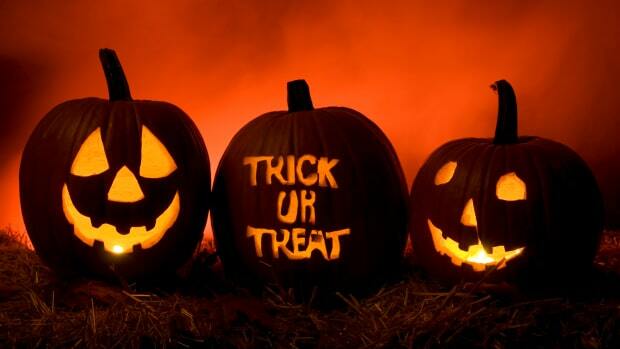 Here are some fantastic last-minute ideas that you can use to get your home Halloween-ready. If you can get them, find colored light bulbs that can change the ambience in your house – or on your porch or front step – to a spookier feel. Get red or purple light, and you’ll give your doorway a gloomy, haunted feel. Or, you can go one better and set up black light, with bright white thread for spiderwebs hanging down around it; a weird centerpiece that will even give people across the street the creeps! As well as decorations, you’ll need treats. Of course, you can buy candy anywhere, and that’s best for trick-or-treating kids: but if you want to get creative for a party or friends, here are a couple of last-minute ideas that will work nicely. This recipe is so simple that kids can do it, under supervision. All you need to do is coat a batch of fluffy marshmallows in melted white chocolate that’s tinted with orange food coloring, and then roll them around in a bowl of sprinkles. Simple, spooky, delicious! For this one, you need to start with store-bought butter cup candies. Turn them upside down, and press c-shaped broken pretzel twists into the cups to create the legs of the spider. Then, use two dots of chocolate frosting to create the eyes, and you’re set! If you’re a busy parent, fridge cakes are always ready to come to your rescue. Needing no baking, all they need is for you to melt chocolate, then blend it with crushed biscuits, fruits (try raisins or dried cranberries), marshmallows, and whatever other candy you want to use, then spread it out on a flat baking tray in the refrigerator. Next day, cut into slices and share with your friends! Other ideas for treats include easy-to-bake pumpkin snickerdoodle cookies, and boo-scotti (biscotti dipped up to three quarters in white chocolate, with eyes and a big mouth drawn on it to resemble a ghost!) There are so many options for things to share with your neighborhood, and especially if you’re new in the area, Halloween is a perfect time to get to know your new community. Enjoy!